Your final installment on all things related to I'm a Celebrity! 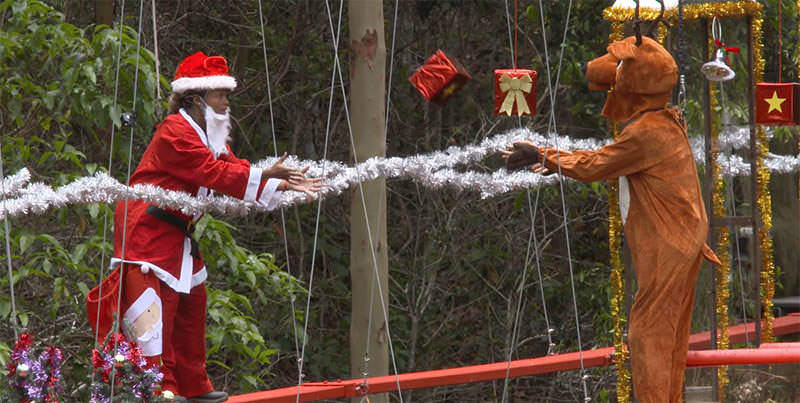 John Barrowman has returned to the jungle in this episode of I'm a Celebrity! It comes after he falls whilst going to do his camp job and, despite beliefs that his ankle was broken, he in fact only sprained it. During the Dingo Dollar Challenge, Fleur and Sair went to secure a batch of cupcakes for camp and inline with the theme, Fleur got covered with some sugar and in the end, James McVey seemed hungry enough to actually taste the sugar and it wasn't long until everyone else joined in! Harry Redknapp also appeared to have little knowledge in movies though and admitted that he had not been to the theatre or cinema since the 1960s and also admitted to not knowing what Toy Story was! 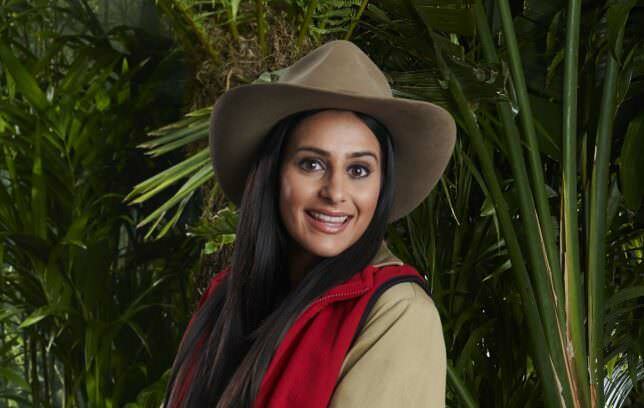 Sair was the 3rd Celeb to leave the jungle and it came as little of a surprise for many viewers. Harry took part in Tuesday's Bushtucker Trial entitled 'Wicked Warehouse' and he obviously faced the one thing he said he would not want to face - Rats. Emily had to place 2 large rats on Harry's stomach whilst enduring other critters as well. Harry did deal with this pressure well though and resorted to having a little chat with the rats out of his nerves and he said that he was fine with them as long as they did not go up his trousers. John also delivered yet another story and explained that whilst he was performing for Prince Charles and Camilla he was forced to "relieve (himself) in their garden". He also admitted to stealing two glasses from the party and two days later got a box at his house filled with 4 Champagne Flutes with a note reading 'We understand you like them'. The celebs competed to win as many letters of possible and they got 6 of them. Harry's wife Sandra also promised that there would be a jam roly-poly waiting for him at home. Rita was the fourth celeb to leave the jungle. John and Fleur took part in 'Rotten Retrieval', the Bushtucker trial of the night, which saw them locked in an underground chamber trying to fetch all the stars to feed the camp. It was very time pressured and they managed to get away with all of the stars. Nick Knowles also found out that he got to Number 1 on the iTunes chart with his cover of Adele's hit, Make You Feel My Love. It was also the return of 'The Jungle Arms' where the celebs were treated to snacks, chips and drinks and they also all took part in some karaoke. Anne performed some Mama Mia whilst Harry sung his rendition of 'My Way' and let's just say it was perfect - well at least the camp thought so. The whole camp also took part in singing Uptown Funk by Bruno Mars, led by none other than Fleur East! 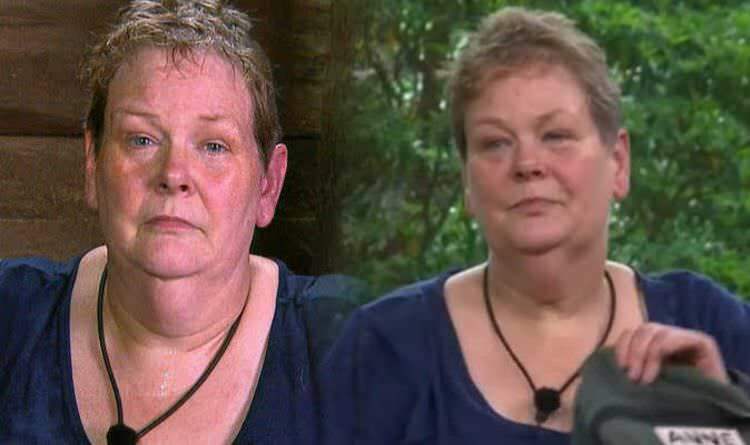 We said goodbye to Anne on Day 19, who revealed that she had to be talked out of quitting just a number of days into the show. She said the celebrities were the only reason she stayed. Fleur and James took part in possibly the most entertaining trial of the season and also the most festive trial with Fleur having to be Father Christmas and James having to be Rudolph - without the red nose. The trial was titled Ding Dong Merrily Up High which saw Fleur having to guide a blindfolded James McVey on his path to pick up presents whilst being suspended high up in the sky. James struggled to maintain his balance and ended up running across most of the course senselessly. James would encounter presents which he would then have to through, still blindfolded, across a gap where they lost a couple of their presents. James also ended up jumping in a leap of faith but missed the final present and was unable to get that star. They also tried to come up with their own version of cockney rhyming slang called the Jungle Lingo. A few of the phrases they came up with were "A wink and a smile is a trial", "Cash and carry, Harry" and "Been and gone, John". In a mission to win a luxury breakfast, John, Harry and Emily went to a doll's house for a night and they had to stop a series of dolls from crying whilst bugs, spiders and pigeons were dropped on them; However, in the end, they won the breakfast. Nick was sixth to leave which came as a shock to the public and to the camp as he became a national hero for his kindness to Anne. 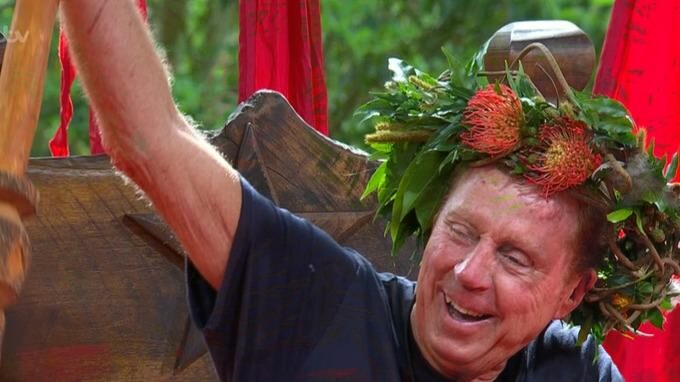 Harry takes on a Bushtucker Trial by his self on Day 20. He saw himself crawling through many tanks and having to get 5 stars by only using a magnet but instead of being scared by the snakes, spiders and lizards he just tried to calm them by ensuring them that he was on their side. The task was finished easily and Harry had 5 stars. James McVey became the latest source of drama as he has a heart to heart with Harry, covering up his microphone, saying "I don’t like to be mean but there are quite a few actors, people who are acting, people are singing for camera and I’m just here like this is me – I don’t want to show off. It gets a bit frustrating sometimes." and then he went on to add “This show will be amazing for Emily and Fleur it will really help their careers.”. This prompted the audience to believe James thought he was in a better place then Emily and Fleur which would appear to be quite embarrassing when the British Public declare Fleur more famous than James who was voted the least entertaining, and only 4th most famous out of the 5. Everyone got to see a loved one in today's episode. Harry met Sandra, Fleur saw her sister, James saw his girlfriend, Emily coincided with her Mum and John enjoyed his much-awaited reunion with John. 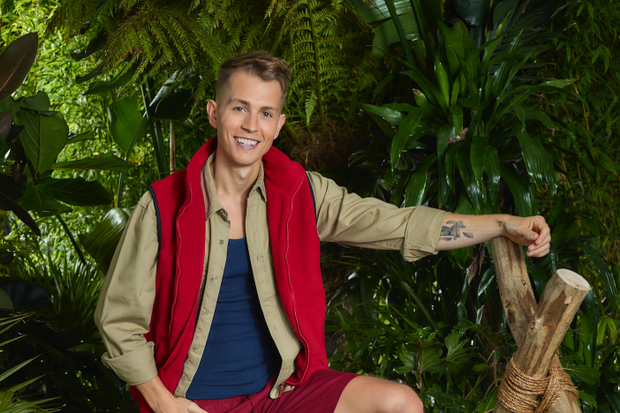 Further embarrassment was enrolled for James as he becomes the seventh celeb to be voted out, after claiming he was one of the most famous there. The Celebrity Cyclone was the Bushtucker Trial, obviously! All of the Celebs got a few balls to their face whilst John was standing and directing the team due to his injury. Fleur also had to drag Harry around on the mat to stop him from sliding back to the pool. The time was running out with split seconds remaining when Fleur got on her star and got the full amount of stars for camp. The celebrities then went and composed a musical based on their time in camp. Dec and Holly joked that there is an unedited, hour-long version of the musical. 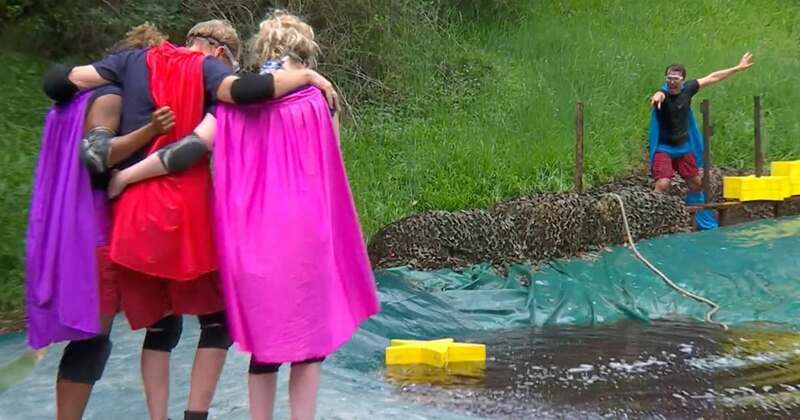 Fleur leaves the camp, which left Harry, Emily and John to fight over the Jungle Crown! Harry, John and Emily took on individual bushtucker trials. Emily goes face-to-face with critters and endured 3,000 cockroaches and 20 scorpions and won 3 starters and desserts for herself and her campmates. John had a comparison challenge, where he would get one nice dish and one dish that would win him a meal, he faced it like a champion and did everything to gain all of his meals. Harry was buried alive with rats and he had to stay there for 5 minutes. When he got out, the doctor discovered he had a cricket in his ear! John departed camp first and therefore was in 3rd place but it was Harry who was crowned King of the Jungle whilst Emily finished 2nd. https://upbeatradio.net/v2/News.Article?article=977 - I called it from day one.